Brand New arrival! One of a kind in the world. 100% Rainfed Organic cotton, khadi stole, hand crafted, Hand spun & woven, Naturally dyed by skilled artisans. This is unique and absolutely unparalleled. COLORS : Red stripes, Pink, Grey and Green stripes. We will call to confirm your color preference, however due to the unique nature of the garment all colors may not be available. 1.75*0.55 m.
By buying this product you can collect up to 89 loyalty points. Your cart will total 89 points that can be converted into a voucher of ₹ 4.45. Go Organic brings to you a beautiful collection of organic cotton stoles available for online purchase. 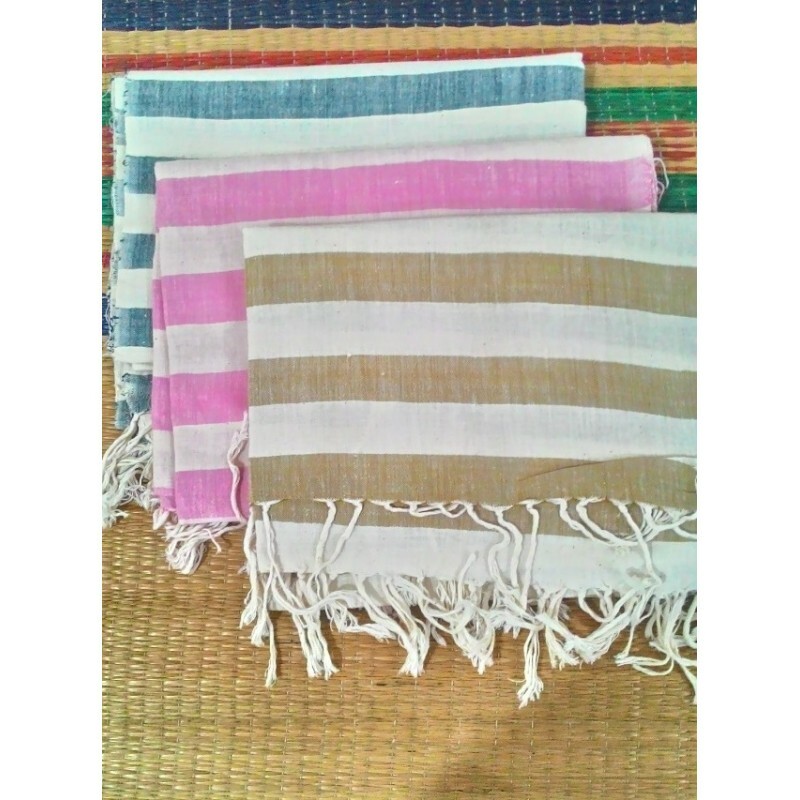 These stoles are made with khadi fabric using organic cotton,which is hand spun & hand woven instead of using machines, and thus is extremely soft to touch, highly breathable, lightweight, and easy to maintain. 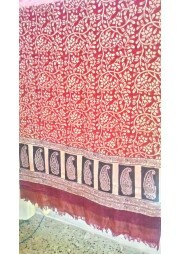 These khadi stoles are available online in different colors to match with your garments and moods. You can spruce up your overall look by sporting these organic khadi stoles with ethnic salwar suits as well as western attire.